Anna Ciampi is a Ph.D. student in Computer Science at the Department of Computer Science, University of Bari. She received a Laurea Degree (2nd level) in Information Technology Engineering from the University of Sannio (Benevento, Italy) in 2003 by discussing a thesis on Workflow Management Systems and Web Services. In 2003 she was an assistant researcher at Research Center On Software Technology of the University of Sannio and her research interests were focused on Web Services, Workflow Management, Semantic Web and Ontologies. She co-authored a publication on these topics at an international conference. In 2004 she was involved in the PRAI project "Program for innovation and improvement of the relationship between research and business of biotechnology in the Apulia region" and her work was published in the proceedings of the 42nd Annual Conference of Italian Computer Association (AICA). In 2005-2007 she worked as database administrator and software engineer for both the University of Bari and United Nations Computer Center. In 2008 she enrolled in the Ph.D. program. She was also involved in the strategic project "Telecommunication Facilities and Wireless Sensor Networks in Emergency Management" funded by Apulia Region. 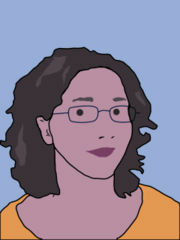 Her current research interests are on mining of geo-referenced data from sensor networks, and ubiquitous data mining. A. Ciampi, Annalisa Appice, Donato Malerba, and Pietro Guccione. Trend cluster based compression of geographically distributed data streams. In IEEE Symposium on Computational Intelligence and Data Mining (CIDM 2011). A. Ciampi, Annalisa Appice, and Donato Malerba. Summarization for geographically distributed data streams. In Proceedings of the 14th international conference on Knowledge-based and intelligent information and engineering systems: Part III, KES'10, pages 339?348, Berlin, Heidelberg, 2010. Springer-Verlag. A. Ciampi, Annalisa Appice, Donato Malerba, Domenico Saponaro, and Giuseppe Triglione. Clustering spatio-temporal data streams. In 18th Italian Symposium on Advanced Database Systems (SEBD 2010), 2010. A. Ciampi, F. Fumarola, A.Appice, D. Malerba Approximate Frequent Itemset Discovery from Data Stream. XI conference of the National Association of Artificial Intelligence, AI*IA 2009: Springer-Verlag. LNCS 5883, ISBN 978-3-642-10290-5 , 151-160, 2009.